Do you think this is a headline that we can only dream of? Think again! It’s what ATKearney predicts by 20251, provided that we manage to grab the huge opportunities that digitization and the Internet of Things have to offer. Digitization in Europe is at a crucial stage, with our ICT sector at the heart of the next industrial revolution (I don’t know about you, but it really excites me to know that we are literally the enablers of digitization of all sectors). Europe’s top representative organization for the digital technology industry is DIGITALEUROPE. Its aim is to foster a European Union that nurtures and supports digital technology industries, and that prospers from the jobs we provide, the innovation and economic benefits we deliver and the societal challenges we address. Let’s take a look at some of the challenges which our industry is facing currently. I don’t think I am being too harsh when I say that Europe is not achieving its potential at present. We’re moving too slowly compared to other markets that we’re competing with on innovation and value creation. Yes, the ICT sector in Europe is growing - however, at a declining and lower rate than the global average. Europe’s share of global R&D spend has declined during this decade, and we urgently need to close the connectivity gap to the leading markets (which is a pre-requisite for the connected world and the Internet of Things). So how can we reverse these trends and leverage our advantages, like the large industrial base, which Europe has as a foundation? How can we make Europe more attractive – not only as a market but also as a region for innovation and investment? And how can we help to create positive dynamics in Europe with the upcoming transformation and digitization that will create growth and prosperity? Ultimately, digital infrastructure and connectivity as the prerequisite for the digitization of almost all sectors in Europe will be key for Europe’s competitiveness. We need the Digital Single Market in Europe to usher in digitalization on a macro scale. But to start with, all European member states need to improve their investment frameworks for network infrastructure and innovation in new technologies, applications and business models now. As newly elected President of DIGITALEUROPE, I want to contribute to find solutions to the challenges above and also extend our dialogue to other, more traditional industries and stakeholders that don’t typically have a primary focus on ICT. This is where we have a large potential for innovation and value creation. Think about our large number of small and middle-sized enterprises across Europe, for example. I’m honored to have been elected as President of DIGITALEUROPE and excited to continue driving our digital agenda in Europe in order to close in on our shared 7% potential economic growth target. Or can Europe do even better than that? To have a chance, we need to speed up. What are your expectations towards DIGITALEUROPE and policymakers to push digitization in Europe? Share your thoughts by replying below. 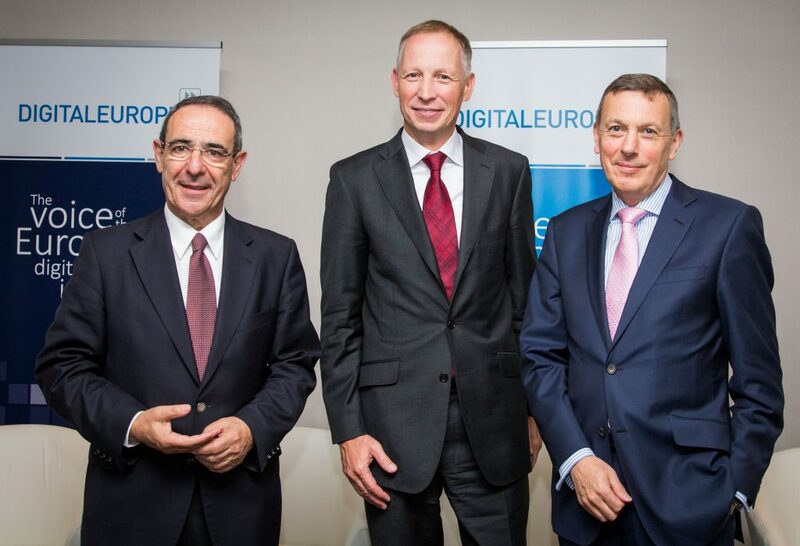 Read the press release on Markus Borchert’s election to President of DIGITALEUROPE here. Markus is Senior Vice President Market Europe, Nokia and President of DIGITALEUROPE. With 20+ years of international experience in the telecommunications, IT and IT Services industries, Markus is passionate about driving change, innovation, customer satisfaction, strategic breakthroughs and business turnarounds. He has 3 kids and loves golf, mountain biking and skiing.